For many years, SIM has supported several philanthropic activities through monetary donations. These monetary donations supported scholarship grants, the Illinois Arts & Business Council and i.c.Stars. 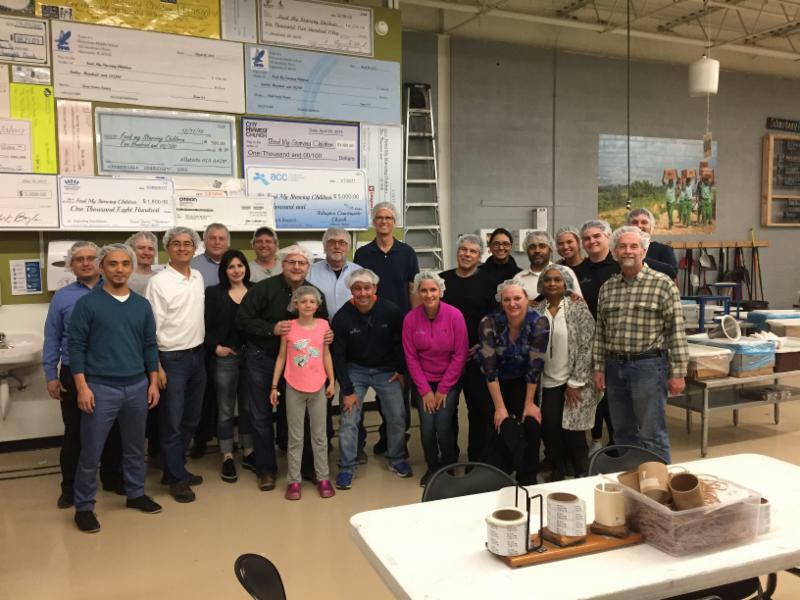 Recently, SIM Chicago took a leap of faith in our members and coordinated an opportunity for members to volunteer for an activity with Feed My Starving Children. We didn't know what the response from our members would be. Time is a precious commodity for all of us, and we are faced with making decisions around our time every day. The question facing the SIM Chicago Philanthropy committee was... would our members be willing to take a few hours out of their busy schedule on a week day evening? This volunteering time has opportunities to network, but it would be a different level of networking than what SIM members were accustomed to at other SIM Chicago events. We were pleasantly surprised that 30 members and guests came out to support the event. With the other volunteers on our hour and a half shift, we helped package 171 boxes containing 36,936 meals formulated for malnourished children. This is enough food to feed 101 kids for a year, which was headed for distribution in Cuba. Looking forward, we will be adding one or maybe two "give back" events to the 2018-2019 program year. This was a worthy cause for our members to support, but it should not end there. The holiday season presents a time to be thankful for what we have and to give to those who may be less fortunate. We hope this is an enjoyable time for you, but that you pause to reflect on the blessings in your life, then do something positive for someone or for a cause that is dear to you. As a leader in your organization, we would challenge each one of you to consider taking the lead on such an effort within your organization. You may be surprised at what happens not only in the organization you support but also in your own organization.